It appears smartphone maker OPPO is planning to announce a smartphone camera with a 5x zoom at the Mobile World Congress in Barcelona that is starting next Sunday. 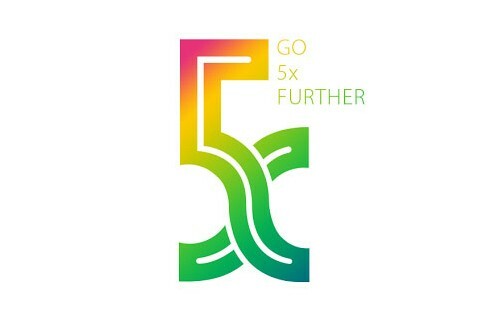 Today the Chinese company has sent out a teaser email which hardly included any technical detail but a 'Go 5x Further' logo and the 'So close you can feel it' tagline, strongly suggesting the novelty will be camera-related. The lack of proper zoom is still one of the most significant limitations of mobile photography and if OPPO were to launch a smartphone camera with an optical 5x zoom that doesn't increase device proportions too much, it would be a real step forward, making the 2x dual-camera designs of the Apple iPhone 7 Plus or LG G5 look rather outdated. “This remarkable achievement is the result of an extensive, year-long R&D process, combined with OPPO’s unparalleled expertise in smartphone imaging technology. We chose MWC to unveil the ‘5x’ technology in the belief that we can inspire the industry to aim higher, and continue to create pioneering products that give amazing experiences for consumers,” Sky Li, OPPO Vice President and Managing Director of International Mobile Business, said. OPPO isn't a big name outside of Asia, but it is the the current number one smartphone brand in China with 16.8% market share and the world’s fourth best-selling smartphone brand for the second year running. We don't know at this point if the announcement will be for a development project or a market-ready model, but we have seen OPPO putting emphasis on camera features and performance in the past, so we're definitely looking forward to it. We will be on location in Barcelona, so look out for for more detail next week.